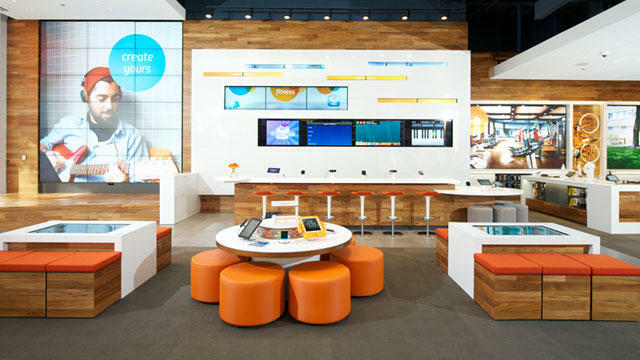 AT&T on Tuesday announced its Q1 earnings for 2013, showing positive wireless and U-verse growth. The carrier said it sold 6 million total smartphones during Q1 and recognized 1.2 million new smartphone subscribers. The company also revealed a net income of $3.7 billion, or $0.76—that's up from $3.6 billion and an EPS of $0.60 a share a year ago. Overall revenue fell by 1.5 percent year-over-year, notching in at $31.4 billion, below analyst estimates of $31.75 billion. On the postpaid side, AT&T added 296,000 net new customers—88 percent of the carrier's 1.2 million new smartphone subscribers accounted for postpaid phone sales. AT&T's U-verse side saw its best-ever quarterly gain, topping off at 8.7 million subscribers in total; 731,000 for high-speed Internet and 232,000 for TV. Of the 6 million devices that AT&T sold, the carrier said 4.8 million of those were iPhones. That's been pretty consistent across the board at every carrier in the U.S. the iPhone is available on, but that could change in a big way now that the HTC One and Samsung Galaxy S4 are here. Wireless revenues soared to $16.7 billion, a 3.4 percent growth year over year, too, showing that AT&T's expanding LTE and robust mobile lineup is raking in the dough. "Our wireless network performance continues to be terrific," said Randall Stephenson, AT&T chairman and CEO. "And that helped drive our best ever first quarter for smartphones sales, improved wireless churn and strong growth in mobile data revenues." Shares of AT&T are down 2.56 percent in after-hours trading.